Dr. J. Keith Newman was elected today by SNU’s Board of Trustees to become president of the University August 1, 2017, following the retirement of Dr. Loren P. Gresham, SNU’s president since 1989. Newman’s election is the culmination of an extensive search that was begun last fall by SNU’s Board and Presidential Search Committee. The process was facilitated by CarterBaldwin Executive Search. Dr. Newman is coming to SNU from Indiana Wesleyan University, the largest school in the Council of Christian Colleges and Universities. 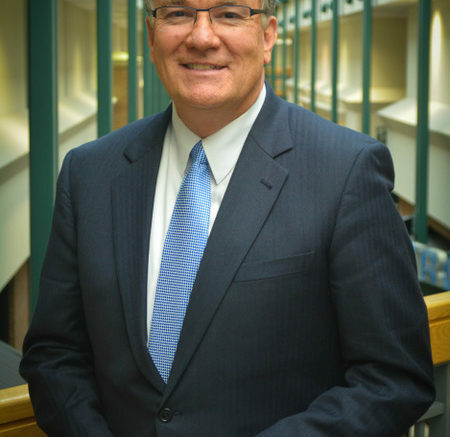 He has been at IWU for eight years, most recently as CEO and Chancellor of the school’s main campus in Marion, Indiana, which has a residential student population of over 3,000 and a 2017 freshman retention rate of 82%. He and his cabinet manage an annual budget of over $100 million, and he has led fund-raising initiatives that have not only enabled IWU to make important campus additions but have also contributed significantly to growing IWU’s endowment from $44 million in 2009 to over $160 million today. For the seven years before going to Indiana Wesleyan, Dr. Newman was Vice President of University Relations at Mount Vernon Nazarene University, a position for which he was recruited following 17 years in Nazarene pastoral ministry that included senior pastorates in Arkansas, Texas, and California. Before becoming a pastor, Newman was an officer and homicide detective in the Houston Police Department. That’s where he met another homicide detective, Carolyn, who would later become his wife. Dr. Newman earned his bachelor’s degree from Houston Baptist University with a double major in Christianity and History. He subsequently earned a Master of Ministry degree from Southern Nazarene University and a Doctorate of Education from Spalding University with a concentration in leadership. His doctoral dissertation was on the leadership qualities of Dr. J.B. Chapman, educational leader in the Church of the Nazarene. He also did doctoral work at the University of Houston while pastoring in that city. Keith and Carolyn Newman’s son, daughter-in-law, and granddaughter, Andy, Jennifer, and Avery live in Houston, Texas. Andy, an environmental biologist, and Jen, a human resources professional, are both 2007 graduates of Mount Vernon Nazarene University. The Newmans’ daughter, Alana, is a 2014 graduate of Southern Nazarene University. She lives in Austin, Texas, where she’s a college coach for The Princeton Review. Founded in 1899, Southern Nazarene University is the denominational university for the South Central educational region of the Church of the Nazarene, which includes the states of Oklahoma, Texas, Arkansas, and Louisiana. SNU’s primary campus is in Bethany, Oklahoma, an Oklahoma City suburb. Current total enrollment is approximately 2,200 students, about half of whom are in non-traditional programs, reflecting the fact that SNU was an early adopter of educational programs for adult learners. With students from diverse ethnic, socioeconomic, cultural, and faith backgrounds, SNU strives to provide the resources and support necessary for all to feel welcome and to flourish. In MONEY’s annual state-by-state ranking of colleges and universities for 2016-2017, SNU was ranked as the Best College in the State of Oklahoma and as one of the Top 50 private colleges in the nation for affordability.